The island of Vis has plenty to offer, especially if you’re searching for a beautiful natural environment that is relatively unspoiled, with fewer crowds and exceptional hospitality. There are also stunning beaches, ancient stone buildings and lush verdant scenery to admire. As the furthest island in the Croatian archipelago, Vis lies hidden behind the islands of Hvar, Brač and Solta. For many years the island of Vis was used as a military and naval base, and was therefore closed to the public until 1989. The seclusion and lack of tourism has enabled the island to retain its natural beauty and charm. Most of the architecture dates back to the early days of Venetian rule. The famous white stone, from the nearby island of Brac, was used in the construction of the beautiful old stone buildings that still line the narrow streets and alleyways of Vis. 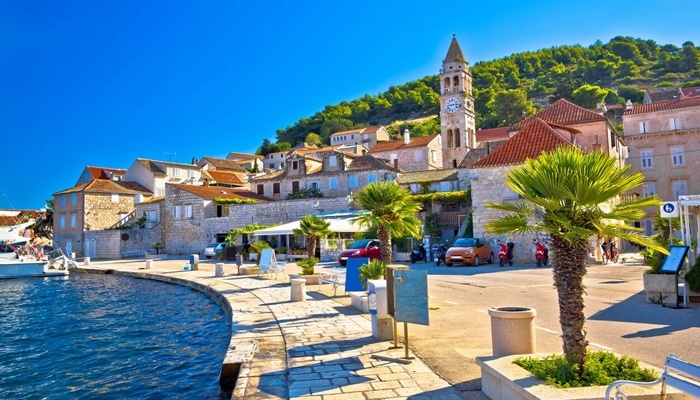 Situated in the protected bay of Viska Luka, on the northern tip of the island, is Vis Town. The ferries from the port of Split arrive at one end of the bay, whilst the other end offers stunning views and easy access to the quaint little village of Kut. The walk from the port to the village of Kut will take you just 20 minutes. Along the way you can stop off at the cafes and bars that are strategically positioned on the waterfront. Once you reach Kut, you’ll find a sailing boats and yachts nestled together in a pretty harbour. The vibe here is calmer and more off-the-beaten track. Order a coffee in a picturesque café at the end of the bay to take in Vis life like a local. The fishing village of Komiza, on the western side of Vis Island, is the place to go if you love fresh seafood. The promenade is lined with cafes, bars and restaurants that serve traditional cuisine made from fresh produce. From Komiza you can take a boat to visit the famous Blue Cave on neighbouring Bisevo Island. 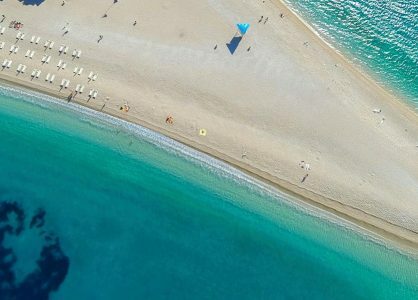 Vis boasts some of the best beaches in all of Croatia. The southern coast is dotted with secluded coves and bays that offer a private beach experience. 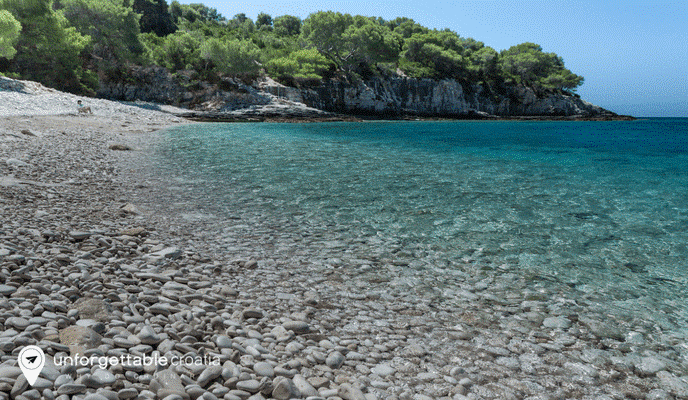 Although most of the sunkissed beaches in Vis are pebble or shingle, the beaches of Stoncica, Stiniva and Srebena are made from fine golden sands. 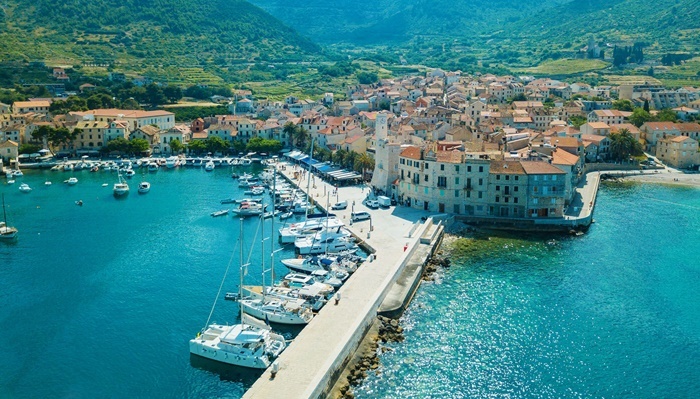 The fishing and agriculture industries on the island of Vis are flourishing. As a result, visitors to the beautiful island can enjoy great food and wine. In the vineyards in the centre of the island, the Vugava grapes are grown. These are the grapes that are used to make the popular local white wines. 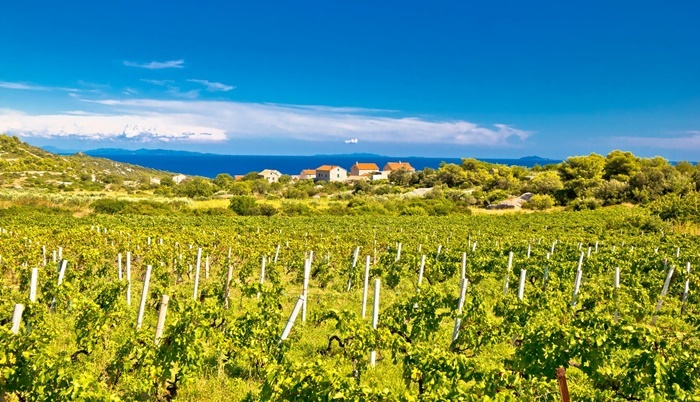 The Plavac grape is the most commonly grown variety in Croatia, and it is used to make robust and flavoursome reds. Call us for recommendations of the best wineries on the island. Some have been run by generations of the same family. You’ll be welcomed in and presented with their produce, which is often accompanied by delicious cheese and charcuterie boards. The wine producers will talk you through how they make, store and sell their bottles. Besides the fresh fish and seafood that is always on the menu in Vis, you can also sample traditional Croatian specialities that are cooked under the ‘peka’ or domed metal lid. Slow cooked meat dishes are the perfect accompaniment for the distinctive local wines. Several of our Dubrovnik to Split luxury cruises stop on the island of Vis. 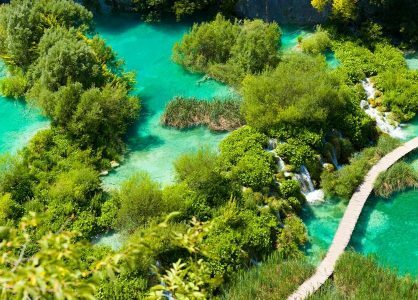 Take an island-hopping Croatia cruise to explore Vis as well as other beautiful islands, such as Hvar and Brač. Alternatively, our Croatia travel experts can help you plan a bespoke itinerary for a Croatia multi-centre holiday. Call us today to find out more.